Tai-Tan Boutique Court, offer 22 full-furnished rooms - all in complete privacy and quiet residential neighborhood, you will get a peaceful life from 6,000 Baht/Month. Tai-Tan Boutique Court is centrally located on quiet part of Leamchan village, Vichit district, near Phuket central city. 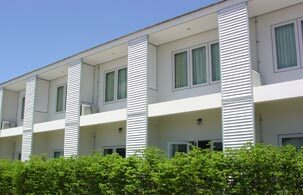 The apartment is an ideal base from which to leave and do business in Phuket. Offer not only convenient transportation by private car (a few minute driving to Phuket city) but also with public bus links too.